Yakushima offers trails for just about every physical inclination, and most of the popular routes will take you past one or more millenia-old majestic Yakusugi trees. At one end of the spectrum are multi-day hikes on roughly marked trails where you'll meet plenty of leeches but few if any people. At the other end are half-hour walks on stone sidewalks with stair cases bordered by hand-rails. And even if you can't climb any stairs, you can still visit the tree called Kigen Sugi by car. Trails vary from excessively popular routes, such as The Hike to Jomon Sugi, (which can see 1,000 hikers in a day during the Japanese holidays of Golden Week in May and Obon in August,) to paths that have all but disappeared into folklore. There are two beautiful recreational forest parks that offer easy trails through breath-taking forests as well as access to longer, more difficult routes towards the island's interior. The most famous is Shiratani-Unsuikyo, the ravine of clouds and water that inspired the scenery in the animé movie, Princess Mononoke. The second is Yakusugiland. Yakusugiland, a forest of magestic conifers aged hundreds to thousands of years centered around the powerful Arakawa River. Both of these parks can be reached by car or bus, and the ease-of-access truly belies the captivating scenery. If you're looking for the straightest route to Jomon Sugi, you'll hike 22km round-trip from the Arakawa trailhead. The route follows an old railroad and passes two restrooms before entering steeper terrain. It can be done in one day or two days. People who have an older copy of Lonely Planet know about the two-day course that starts in the south, cuts through the center, and finishes a bit west with a few options along the way. This is a beautiful trek that takes you past weather-battered skeleton trees, through a high-altitude peat bog, over Yakushima's highest peak, past Jomon Sugi, and down through the Mononoke forest wonderland. However, the first day is especially long, the 'mountain huts' are pretty barren, and I've met quite a few rain-beaten, leech-ridden folks on their way down. If you do this route, please start early the first morning, and check for warnings from the Japanese Meteorological Agency. There are plenty of other beautiful hikes as well, which you can uncover with a little reading. As a guided hike, I offer a route which cuts the first day off of the Lonely Planet hike. What's different about hiking in Yakushima? Stream-crossings abound: Check for weather warnings. Lest the seasoned hiker come with the wrong preparations, I'd like to highlight some details that might contrast with other hiking experiences. 1. 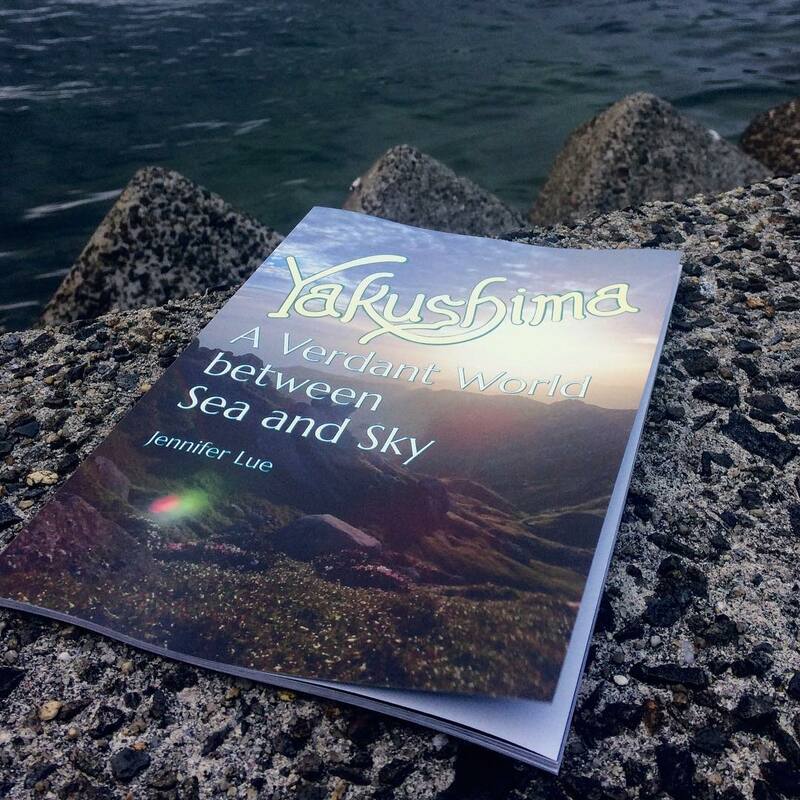 Drinking Water: Yakushima has a lot of drinkable water running down the mountains, so much that they once mulled the idea of filling oil tankers with drinking water for their return trip to the Middle East. I admit I have skipped water holes only to run out of water several hours from the next source. How much you need depends on your route, the weather, and your personal needs, but leave the tablets and filters at home. 2. Rain & Floods: Yakushima has a lot of rain. Check the weather report for effective warnings before you head out, lest you be confronted by an impassable river crossing. Locals may seem overly concerned by a little rain, but normally calm and babbling streams claim the lives of hikers all too often. (In fact, I hear rumors that Shiratani Unsuikyo is looking to build another bridge over an iconically beautiful stream-crossing.) Acknowledge your limits. It's also a good idea to bring nice rain gear and double bag your dry stuff inside your pack, no matter the weather forecast. (Yakushima's interior gets double the rainfall of the coasts.) That said, don't be turned off by the rain; enjoy it. 3. Getting Lost: If you should get lost, follow normal safety procedures. Stay put if you can, and if you have to move, head up, not down. Don't follow rivers, because you'll probably find a waterfall over a steep drop before you find any people. Instead, head for high ground: Many mountains have trails at their peaks, and you can often get a cell phone signal as well. 4. Rentals: Rent everything you don't want to schlep around Japan. You can rent all kinds of hiking and camping gear at the outdoor stores on the island. But no guarantees for big or tall people or people with big feet. Snakes: Particularly the Mamushi, which looks a bit like a medium diamond-back minus the rattle, but usually stays off the trails in the daytime. Suzumé-bachi: Huge Asian wasps. Don't worry if one or two are just buzzing by or trying to taste your food, but if one starts clicking, back off if you value your life. Leeches: These are not the fat monsters of dramatic documentaries, and if you leave them be, they will just fall off after about 20 minutes of (fairly harmlessly) blood-sucking. They're spit contains both an anesthetic and an anticoagulant, so you might not even notice that one has bit you until it falls off and you notice you're leaking blood from a small hole. They have been expanding their realm lately, but you're still unlikely to meet them on the most popular trails. On the Western side of the island—I don't know why—they have an affinity for belly blood. Mice: Yakushima has really cute, endemic mice, but make sure your food is sealed overnight. Dry-sacks are highly recommended. Deer also like to rummage through packs for food. Bugs: While there are bugs that bite like black flies that follow heat sources and a few horse flies in summer, while you are in the mountains there are probably not enough to merit bug spray unless you have allergies. Spiders are the least of your worries, but killing them is bad luck. I've never encountered ticks in the mountains, but if you happen to get bit by one in the brush at low elevations, seek advice for removing it and be ready to visit a clinic should a rash develop. There are mosquitos at low elevations (nothing like Florida! ), but not so many in the mountains, and these are usually constrained to locations heavily impacted by people. There are poisonous plants, too, but if you don't eat them, they won't eat you. Shintakatsuka Hut: A mountain shelter with a nice location between Mt. Miyanoura and Jomon Sugi. 6. Camping: The mountain huts are free but extremely minimal. Four walls, a roof, a floor, a window, and a door. You can also pitch a tent, but only near the huts. Gas/alcohol fires are allowed. Open fires are not allowed. Locate the toilet before it gets dark. Tent camping is also allowed at designated (paid) camp sites near the coast. Sorry, no free camping on the beach. Since Yakushima is mostly a big pile of granite without much soil, I recommend free-standing tents (or something you can tie down with a few rocks) if you plan to stay in the mountains. I don't recommend hammocks in the mountains because the only trees suitable to hold your weight may be hundreds of years old and covered with delicate moss and lichens. There is public land with trees near rivers and coasts where you can take an afternoon siesta in a hammock, though. 7. Toilets: Plan your toilet stops. Remember that the popular trails can see hundreds of folks in a day, and everybody is drinking unfiltered water. Yes, the monkeys do their business anywhere they want, but humans can buy a disposable toilet pack to take hiking. (Yes, even for urine!) Popular trails even have stations set up for use with your toilet pack. There are latrines at the mountain huts, but the contents of these is scooped out and carried down manually, and there is probably no toilet paper except in Shiratani. Women, except for the toilets along the train tracks to Jomon Sugi, you're going to have to take feminine products back with you. A large part of donation money goes to toilet maintenance. 8. Leave No Trace: Carry out exactly what you carried in. Don't take home any walking sticks or plants. Don't wash your dirty dishes in the streams. 9. Stay on the trail: When in doubt, stay on the trail. I think this is a no-brainer, but Yakushima sees a lot of tourists, and this rule is meant for both preservation and safety. 10. Be nice to moss: You can touch it, pet it, and give it water, but please try not to step on the moss. 11. Don't feed the wildlife: Just don't, and don't leave food where monkeys and deer can get it. 12. Storms: Summer brings thunder storms and typhoons and winter brings blizzards. Respect nature's power and avoid hiking through these. For more guidelines, see my blog entry on Etiquette in Yakushima.